Ashé Arts was conceived in 2014 by Sadé M. Jones -- award winning choreographer, producer and performance artist and Zell Miller III -- award winning playwright, director and actor. Growing up in the classic "at-risk" environments, each was introduced to the world of theatre. They not only gained artistic technique; but also a broader perspective of the world and self-efficacy to rise above their circumstances. Teaching in East Austin schools, the seed was planted to create a space where the arts could be a tool for personal development/empowerment — The Ashé Academy. Shortly after, the idea expanded to adults with community classes and a performance company. In 2015, The Ashé Arts Collective made it's debut premier in the production Hands Up Hoodies Down, which received awards for Best Ensemble and Best Choreography. The Collective serves as a platform for Black performance + visual art in Austin. In 2016, Ashé Arts produced its first solo show Melanated Chrysalis, which rooted the organization in the community to which it serves. Throughout the past 2 years, Ashé Arts has been an arts + culture resource to the community through productions and events as well as outreach programs, classes and workshops. Currently, Ashé Arts has a performing arts collective and community outreach program. An interdisciplinary theater artist based out of Austin, Tx., Zell Miller III, was the only performance artist selected for 10-1 grant where he was teamed with a City Council person to create an art project in one of the cities 10 districts. He is a company member of Xenogia Spoken Word Collective, HydePark Theater, and the Vortex Theater. He is a board member with The Vortex Rep. Theater. He is an award winning playwright/actor/director. His written many critically acclaimed stage plays such as “My child, my child, my alien child”, The Evidence of Silence Broken, and many others. He was the Artistic Director of Uprise! Productions. He has been published in Plays from the Boom Box Galaxy. He was selected as the “The Best Writer” by the Austin Chronicle in 2004. Zell continues to work with youth and produce his award winning self-penned original stage plays. He was awarded by the Ace After School program for best instructor in 2007 for his work with youth. Zell has worked and taught workshops nationally and locally. A native of Brooklyn, NY, Sadé Jones received most of her training there before moving as an undergraduate of William Smith College where she minored in Dance and Social Justice. She performed works by Afro-Caribbean dancer and choreographer Chris Walker, Fred Benjamin, Stephen Mills, Andrea Ariel, to name a few. Sade travelled to Minneapolis to join the Ananya Dance Theatre becoming part of their touring cast. 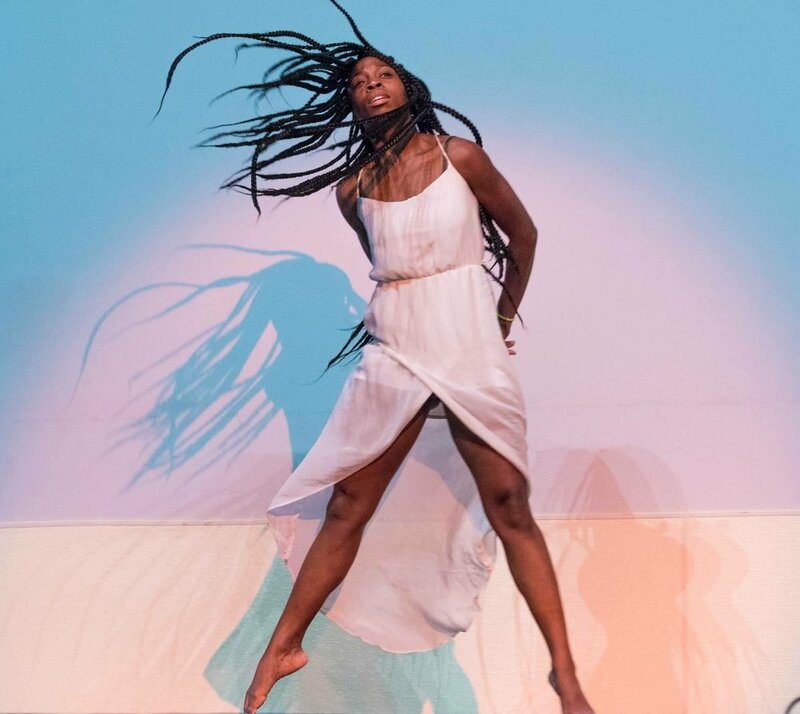 She has studied under the tutelage of Leah Smiley Tubbs - founder of ModArts Dance Collective and former Alvin Ailey student, as well as Melissa Villarreal - coming from the lineage of the Joyce Tristler Danscompany. She is a celebrated performing artist in and holds a Master’s Degree in Social psychology from the University of Texas at Austin. Her focus is the identity development of African American youth. With over 15 years of dance experience, Sade's fierceness emerges when she communicates socio-cultural ideas. She believes in the unique power of art to transform the psyche and transform communities.